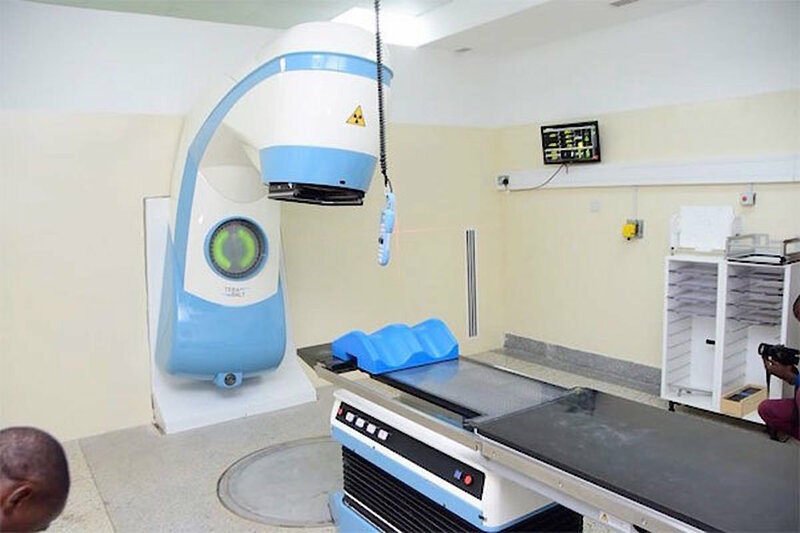 JINJA – The Uganda Cancer Institute (UCI) has opened a cancer treatment centre at Jinja Regional Referral Hospital and pledged to increase access to cancer care services in eastern region. Speaking at the launch on Wednesday, March 6, the UCI Executive Director, Dr. Jackson Orem, said it is their mandate to provide quality, affordable and accessible cancer treatment services. “UCI has been recognized as a centre of excellence in the entire region, meaning it will be receiving patients from all over the region. The model of what is being done at UCI will be exported to regional partners,” Dr. Orem said. He also revealed that they have also established a cancer registry in Mayuge District to track the number of cancer cases in the community. “UCI embarked on a more scientific trend while at the same time studying visitors’ records and discovered that the number of patients from Mayuge District who visited the cancer institute was disproportionate. We now have to link the Mayuge registry to the Jinja Cancer Unit and Mulago Cancer Unit by establishing treatment here. In addition to screening, we shall start surgery, particularly gynecological cases,” Dr. Orem said. Dr. Gerald Mutungi, the commissioner for non-communicable diseases in the ministry of Health, who commissioned the treatment centre, said patients will no longer have to be referred to Mulago Cancer Unit. The director Jinja Hospital, Dr. Edward Nkurunziza, said that they have started radiology services which were only being performed at the Mulago Cancer Institute. “Government is increasing capacity in regional hospitals and we are glad that Jinja hospital has been selected as one of the first cancer referrals. This means patients will no longer have to be referred to Mulago Cancer Unit. We have been referring patients to the cancer institute at Mulago, but most of them fail to make it there due to many reasons including logistical challenges,” Dr. Nkurunziza said. He added that cervical cancer was the biggest type of bothering Ugandans, followed by breast and prostate cancer.